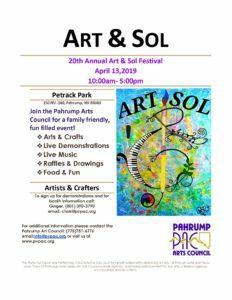 Art & Sol is one of the Pahrump Art Council’s oldest annual events, now in its 20th year! Artists and craftsman of all types can sell their work, meet collectors and network with other artists and artisans. Attendees can browse, meet the artists and artisans, fall in love with a work of art and buy it, and watch artists at work. Art & Sol has been an annual PAC event since 1994 and is a major fundraiser for our continuing programs throughout the year. 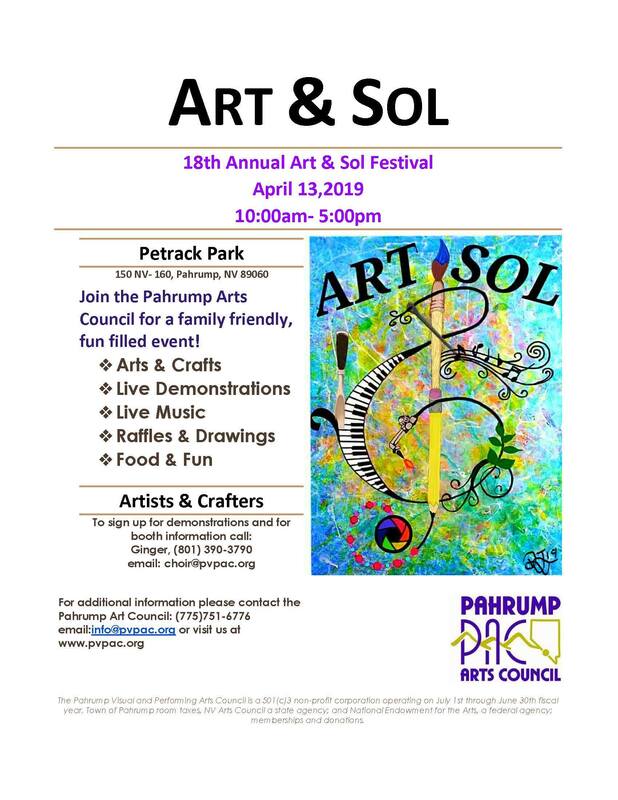 If you have any general Art & Sol questions, please feel free to contact the Pahrump Arts Council Office 775-505-1362. To reserve a booth please contact Ginger Forbes at 801-390-3790 or at choir@pvpac.org. Booth Reservation deadline is April 5, 2019.